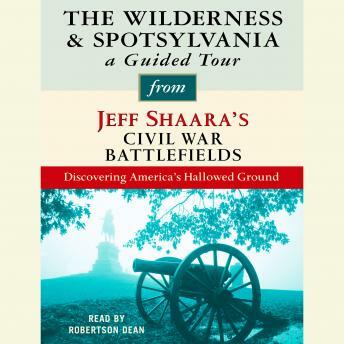 Jeff Shaara, America’s premier Civil War novelist, gives a remarkable guided tour of a Civil War battlefield every American should visit: The Wilderness and Spotsylvania. Shaara explores the history, the people, and the places that capture the true meaning and magnitude of the conflict and provides engaging narratives of the war’s crucial battles. I used this on the battlefield. Outstanding.